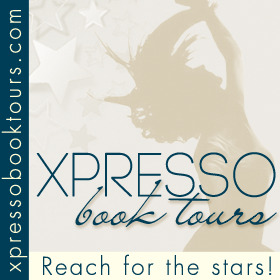 Welcome to my stop on The Delphi Effect Blog Tour! I am a crazy, huge fan of Rysa Walker's Chronos Files.The trilogy is one of my very favorite time travel stories ever, and I feel like I might have gone a little nutty over my love and subsequent endorsement of that series. In fact, when I was reading the Acknowledgments section of The Delphi Effect (what doesn't everyone read the Acknowledgments? ), and Rysa thanked the bloggers who supported The Chronos Files I totally felt like she was thanking me. Anyway, after all that love, I absolutely could not turn down the chance to promote Rysa Walker's new book. I just knew it would be great. Seventeen-year old Anna Morgan has more than her fair share of problems. A foster kid for as long as she can remember, all she wants is to bide her time until she's released from the system and make sure her foster brother, Deo, stays out of trouble too. If only life could be that simple. You see, Anna has this other little problem: she picks up ghosts. When Anna touches something that a ghost loved, she opens herself up to sharing her mind with an incorporeal visitor. Her current hitchhiker, Molly, is a particularly insistent companion. She wants Anna to contact her grandfather, a former policeman, and give him the information he needs to find her killer. Convincing someone that you are carrying a ghost around inside your head is no easy task, and it lands Anna in quite a bit of trouble. The silver lining to all of this is that she meets some other kids who have some pretty fascinating talents themselves. Aaron and Taylor were definitely bright spots in this spooky tale. Rysa Walker tells a good story. This one is action packed from the very beginning, and I really liked the whole conspiracy angle. Anna is a fantastic narrator. She's has a maturity that I think fits nicely with all that she's been through. I loved her relationship with Deo, and I think the developing friendships with Aaron and Taylor are also handled well. Every October I like to find myself some spooky books for the Halloween season, and The Delphi Effect would be a perfect addition to a Halloween reading list. As if picking up ghosts wasn't creepy enough, things get even weirder as Anna discovers more about her abilities and the covert organization that seeks to exploit people like her. Another thing that was an added bonus for me as I was reading this book is that it is set in Maryland, and I live in Maryland. I love it when I get to read a book that is set close to home. In The Delphi Effect, the characters spend a good amount of time driving around Maryland, and it just made my nerdy little heart so happy because I knew where they were. I'm definitely going to continue on with this series. That ending is not one that you are going to want to leave sitting. In fact, I already have plans to audiobook the next in the series because the narrator is Kate Rudd (you might know her voice from a little audiobook called The Fault in Our Stars), and she did such a fantastic job with The Chronos Files. 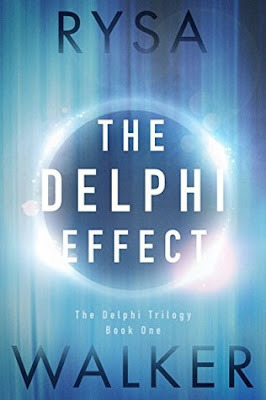 The Delphi Trilogy has so much potential, and I'm thrilled (but not at all surprised) that Rysa Walker has delivered another fantastic book. Rysa Walker is the author of the bestselling CHRONOS Files series. Timebound, the first book in the series, was the Young Adult and Grand Prize winner of the 2013 Amazon Breakthrough Novel Award. Rysa grew up on a cattle ranch in the South, where she was a voracious reader. On the rare occasions when she gained control of the television, she watched Star Trek and imagined living in the future, on distant planets, or at least in a town big enough to have a stoplight. 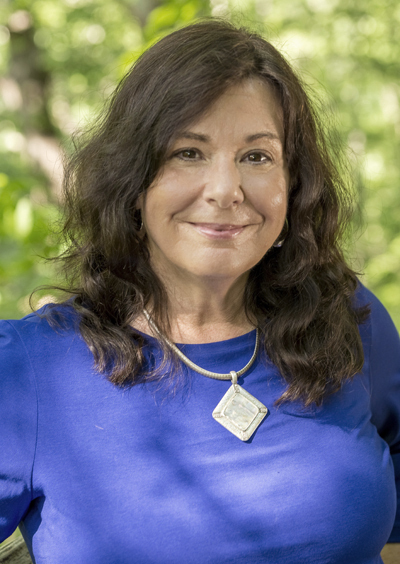 She currently lives in North Carolina, where she is working on the next installment in The Delphi Trilogy. If you see her on social media, please tell her to get back to her Writing Cave.